An in-depth report on the causes, diagnosis, treatment, and prevention of periodontal disease. Periodontal disease is caused by dental plaque, which contains harmful bacteria. The mouth is full of bacteria but they tend to be harmless varieties. 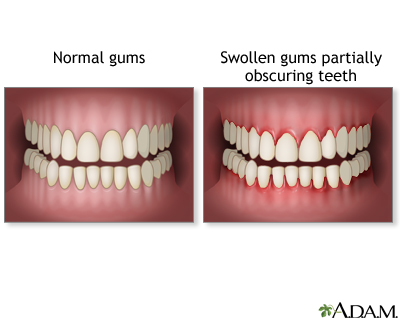 Periodontal disease usually develops because of an increase in bacteria quantity in the oral cavity and a change in balance from harmless to disease-causing bacteria. These harmful bacteria increase in mass and thickness until they form a sticky residue called plaque.Plaque begins to form within a minute after you finished brushing your teeth. 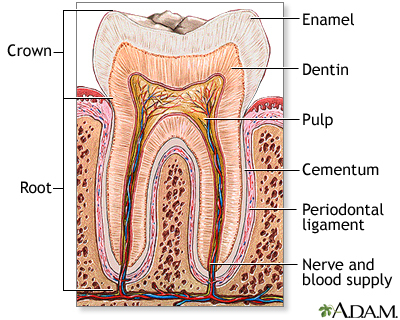 Plaque is a type of biofilm, composed of bacteria encased in a sticky extracellular matrix. When plaque growth accumulates to excessive levels, it will cause inflammation and infection of periodontal structures.When plaque is allowed to remain in the periodontal area, it becomes mineralized and transforms into calculus (commonly known as tartar). This material has a rock-like consistency and grabs onto the tooth surface. Tartar is much more difficult to remove than plaque, which is a soft mass. Once tartar has formed, it must be professionally removed by a dental practitioner.